The spark plug is the device that causes the fuel/air mixture in the cylinder to burn. All internal combustion engines have a spark plug, or in the case of diesel engines, a glow plug, to initiate combustion in the engine. Spark plugs in a gasoline engine have an additional purpose of removing heat from the combustion cylinder. Both duties are only accomplished when the proper spark plug is installed correctly and with the correct gap. There are two schools of thought on spark plug selection. The first is to replace the same spark plugs that the manufacturer initially installed. The manufacturer designed the engine to run with a spark plug with the designed heat range, designed ignition gap, and appropriate torque. On the other hand, a different spark plug manufacturer can be selected. The new spark plug needs to be of the same heat range, with the same ignition gap, and the same appropriate torque. Normally the new spark plug will either be a multiple ground type, or an upgrade of materials that help the engine deliver the spark it needs with the stock ignition system. 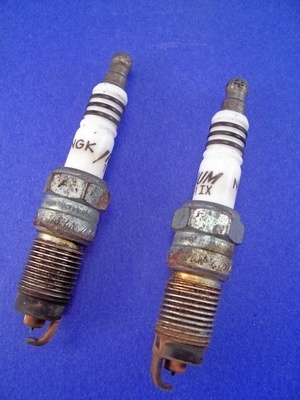 Normally the spark plugs are replaced appropriately every 30,000 miles. 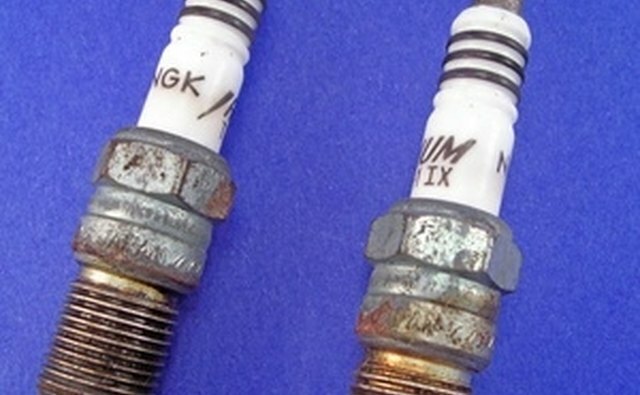 The inspection of a removed spark plug should show a light gray to light brown discoloration. The negative probe should not be more than partially burnt away, and the gap should be only slightly more than the originally installed gap between the center electrode and the ground electrode. These electrodes should also be properly aligned. A missed alignment will cause one or both electrodes to be burnt away. A gap that is too close will not deliver the proper amount of spark to satisfactorily cause the air fuel mixture to burn cleanly. While a gap that is too wide may not allow the ignition system to fire the plug at all. Spark plugs that are not gapped properly will cause the engine to either skip firing, or ignite too soon in the compression stroke. Properly gapped spark plugs also remove heat from the cylinder ignition chamber. " The temperature of the end of the plug's firing end must be kept low enough to prevent pre-ignition, but high enough to prevent fouling. The spark plug works as a heat exchanger by pulling unwanted thermal energy from the combustion chamber and transferring heat to the engines cooling system. 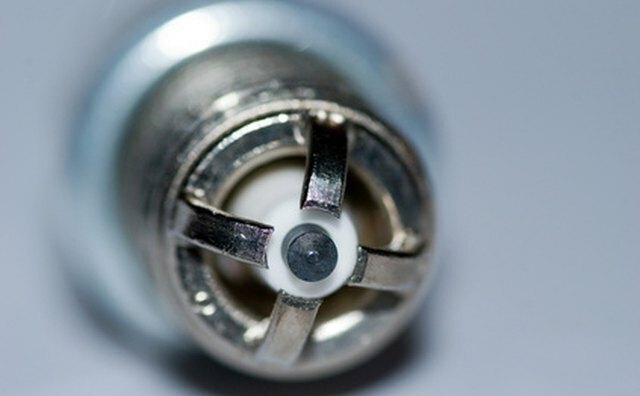 The heat range of a spark plug is defined as its ability dissipate heat from the tip." When setting the spark plug's gap for installation, use the automobile manufacturer's recommended gap. The engine designer has tested the engine on a dynamo to calculate the entire ignition system as a complete package for the engine's best results. Any deviation from these specifications will move the engines optimal performance away from the engine's best tune-up performance. These specifications will keep the engine from pre-igniton and detonation, which is the rapid and uncontrolled burning of the fuel in the combustion chamber while the piston is still rising. Following the removal of the spark plugs each plug whole should be cleaned without allowing any rust or other materials to fall into the cylinder. 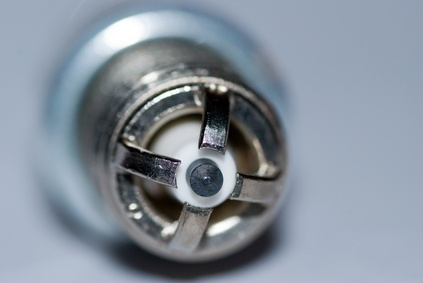 The installation of a new spark plug should be performed with a rubber inserted plug socket. Hand tighten the spark plug, then tighten one half to three quarters turn for proper torque. This should be sufficient from allowing the spark plug's washer from letting any gases to escape prior to and during ignition.